Encourage creative change in troubled families! 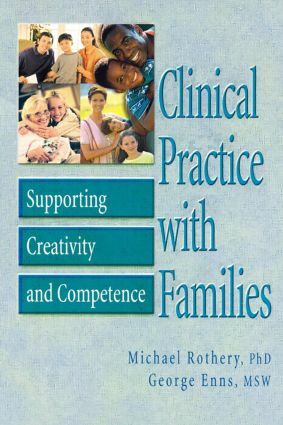 Clinical Practice with Families: Supporting Creativity and Competence presents the most important and useful contemporary ideas in family therapy from many diverse traditions. By organizing eclectic concepts within one basic, powerful framework, it makes these ideas more accessible and effective in practice. Instead of exploring these ideas in the abstract, Clinical Practice with Families illustrates them with in-depth case examples that include detailed studies of the client family's history and traditions, extensive analyses of the family system, and actual dialogue from sessions, along with the therapist's comments on shifting alliances and other unspoken occurrences. No other technique could better demonstrate the practical integration of therapeutic skills and concepts to meet the clients’needs. Clinical Practice with Families offers a powerful set of techniques and ideas in a clear, understandable framework. Illustrated with helpful charts and figures, it offers senior students and practicing family therapists an opportunity to take a structured approach to contemporary theory and understand its implications for practice.